Have you worked with a client that is in the market for energy-efficient features in a home? You’re probably not alone if you answered “yes.” Consumers want to live in homes that are friendly to the environment and their wallet at the same time. 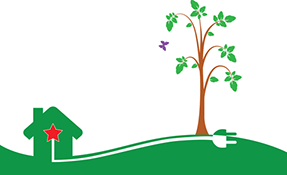 Energy features play a key role in making a home an enjoyable and affordable place to live. Homes that are drafty, cold in the winter, hot in the summer, and expensive to run leave occupants struggling to choose between staying comfortable and paying their utility bills. Since 2013, NorthstarMLS has had energy efficiency fields, such as Green Certification and HERS Score. But did you know there are also several energy-efficient features in the MLS that might grab the interest of your “Green” buyers? Below is a look at current Active listings in the MLS with Energy-Efficient Features.